Rediff.com » Movies » Can you recognise these child actors? Can you recognise these child actors? Hint: The children of the older girl are popular directors today. Zoya Akhtar shared a throwback picture of her mother Honey Irani and aunt Daisy Irani from when they were kids in 1950. 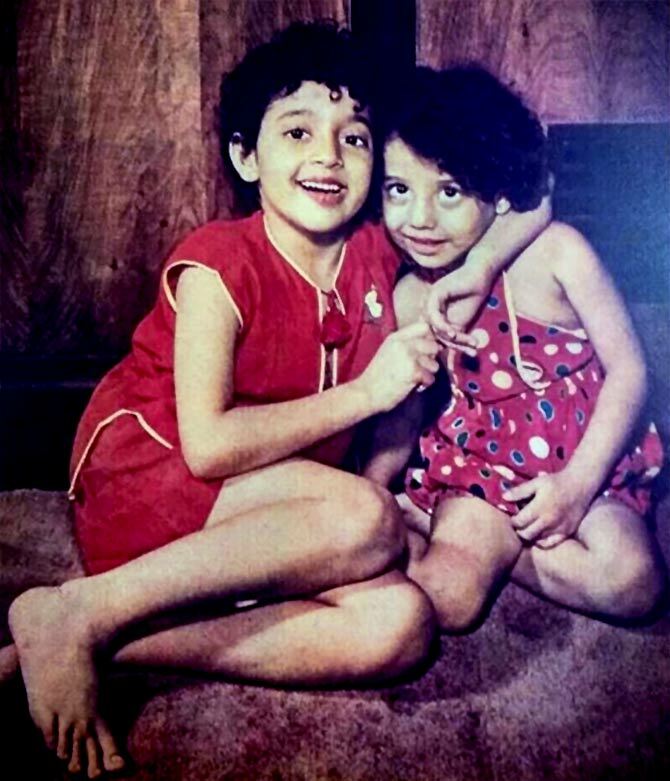 Honey and Daisy were child actors in Hindi films, and they usually played boys! Honey has done films like Chirag Kahaan Roshni Kahaan and Bombay Ka Chor; she has acted in over 72 films. Daisy worked in films like Bandish, Jagte Raho, Naya Daur, Hum Panchi Ek Dal Ke, Dhool Ka Phool and is, in fact, more well known than her younger sister. After her marriage to Javed Akhtar at a young age, Honey gave up acting. After the marriage ended, Honey pursued writing films like Lamhe and Aaina. Her last film was 2013's Krrish 3. Daisy continued acting and was last seen in films like Shirin Farhad Ki Toh Nikal Padi and Happy New Year. What will Amy Jackson wear at Cannes?